Hey everyone today I wanted to share with you one of my all time favorite products by NYX and they are the NYX Jumbo Eye Pencils. 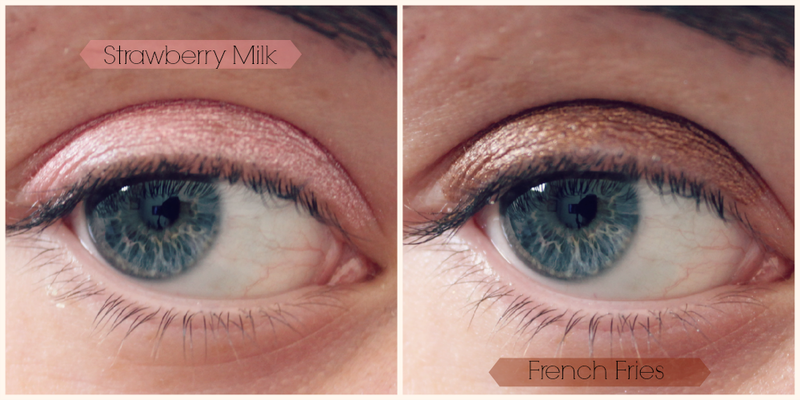 I own about 4 or 5 shades so far and today I will be sharing with you Strawberry Milk and French Fries. 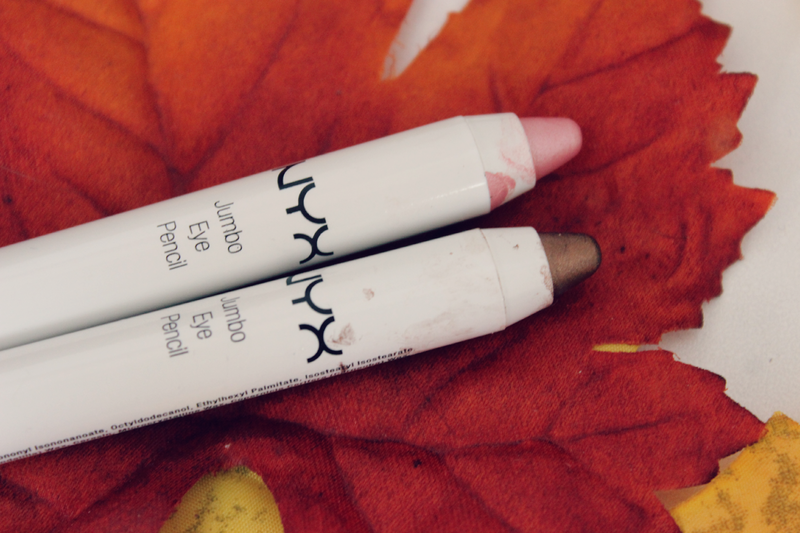 Out of all the eye pencils I have tried from varies of different brands, the NYX ones are by far my favorite. Strawberry Milk is considered a pearly pink and the color really does remind me of strawberry milk. 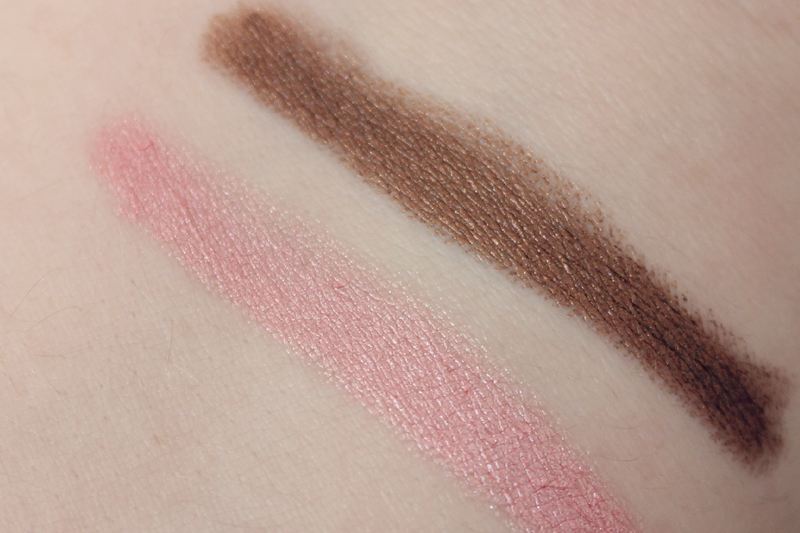 I find this one to be a little bit more sheer compared to French Fries, so when I was applying it all over my lids I really had to pack it on. French Fries is considered a pearly golden olive. I love this one because its very opaque and the color has a beautiful golden shimmer to it and its perfect for the fall time. I like to wear these as a base or if I am really lazy I like to use them by themselves. If you are using them by themselves I would recommend a primer because they do tend to crease just a little, so if you do not want it to crease I would say add a primer and it will help last all day. 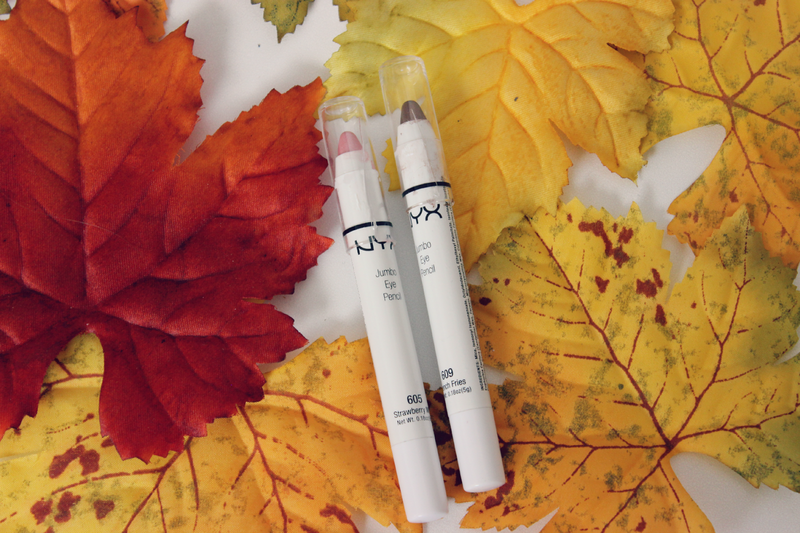 You can purchase them anywhere that NYX is sold and they are either $5.00 or under $5.00 so they are super affordable. 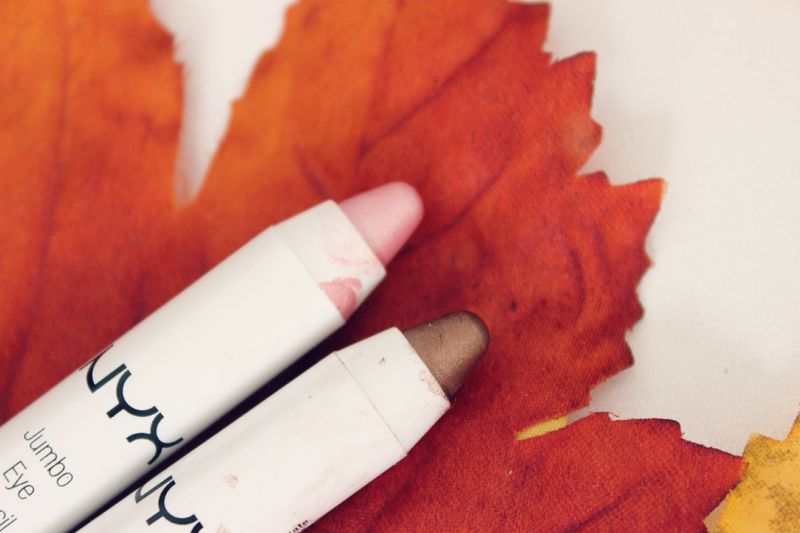 Let me know what your favorite shade is! I love these! I have Cottage Cheese and Pure Gold and I am obsessed! These are so pretty shades but no one seems to talk about them anymore! I have one shade, yoghurt that I really love but I always use it only as a base.